At first I wasn't sure if I liked glass tiles. I couldn't decide if they would stay in fashion long enough to commit to decorating with them. 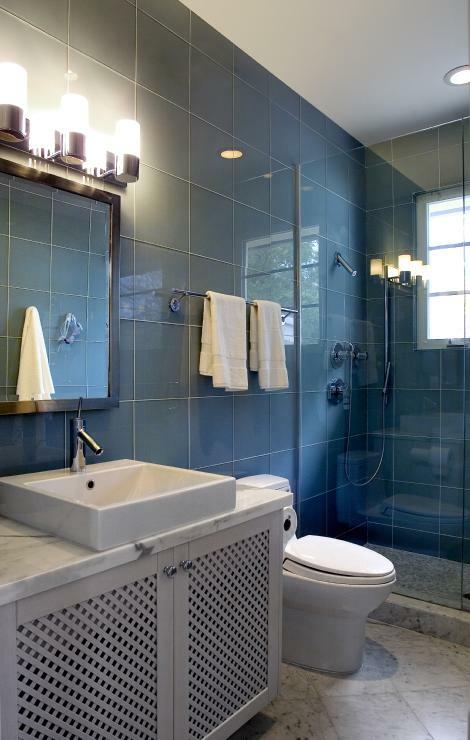 I am still on the fence when it comes to some of the mixed glass, porcelain and marble tile combos. Some look great, others I think will look very dated in a few years. 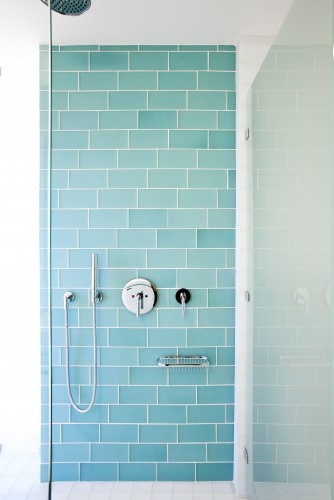 However, I do really like the look of all glass tiles with white grout lines. It can look both elegant and chic or fresh, bright and lively.